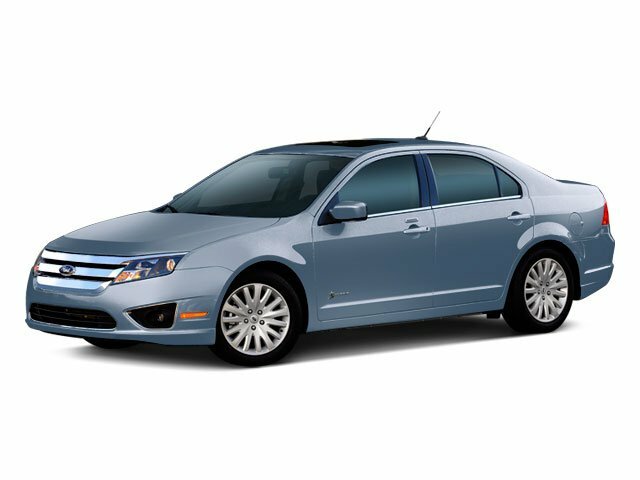 Description Land a score on this 2010 Ford Fusion Hybrid before it's too late. Roomy yet easy to maneuver, its tried-and-true Variable transmission and its trusty Gas/Electric I4 2.5L/152 engine have lots of personality for a low price. It has the following options: Tire Pressure Monitoring System, Tilt/telescopic steering wheel, SYNC voice activated communications & entertainment system -inc: Bluetooth capability, steering wheel audio controls, USB port, audio input jack, 911 assist, vehicle health report, turn-by-turn navigation, real-time traffic, Sunvisors w/illuminated visor vanity mirrors, Steering wheel-mounted audio & cruise controls, Speed-sensitive windshield wipers, Speed control, SOS Post-Crash Alert System, Solar tinted glass, and SIRIUS satellite radio w/6-month pre-paid subscription *Service N/A in AK or HI*. You've done your research, so stop by Lakeland Toyota at 2925 Mall Hill Dr, Lakeland, FL 33810 today to take a test drive of this great vehicle!